At Kruze Consulting, we’re a CPA-led team that handles the Accounting, Finance, and HR for over 160 startups. We’ve seen the good, the bad, and the ugly of startup operations, and we have come up with a simple solution: We believe in software. By leveraging best of breed software providers, startups can run smoothly and focus on building their business. It sounds so simple, but every day we meet startups that haven’t internalized these systems and are a complete mess operationally. That’s ok though, because it’s never too late to set up your startup for success. We recently led an evening discussion at the NYC AWS Pop-up Loft: “A Prescription for Startup Financial Health — 8 Financial Best Practices for Startup Executives.” In this post, we continue that conversation and share three of our favorite software systems for startups. Easy Online Interface: Gusto has mastered the art of making basic information easy to access. 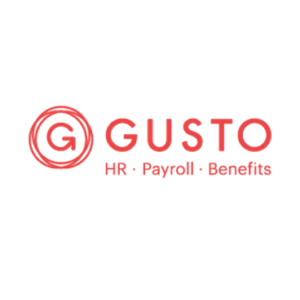 We’ve spent hours generating simple reports from other payroll processors. (Time we could have been spending doing more value-add activities for our clients!) We’ve even received patently incorrect reporting from a large business bank payroll processor. Autopilot Feature: If all of your employees are on salary, you can set Autopilot and forget about running payroll. It just runs for you. It’s that simple. Are there other processors out there that take 10 minutes to log in and “push a button”? Sure, but if you forget to log in just one time, you’ll have a mob of angry employees on your hands. Don’t risk it. Late Payroll Taxes: Many other payroll processors that we’ve worked with have forgotten to file a 941 or DE9. Gusto has never failed us. They file all your taxes automatically and on time. Inexpensive Pricing: It’s really cheap. We’d still use if it were 3x more expensive because the peace of mind that Gusto provides is priceless. World Class Customer Support: Payroll is a time sensitive and emotional endeavor. Your employees really care about getting paid on time and for their full amount due. The Gusto support team understands this and leaps into action when called. They understand the urgency. Eliminate Paper. Who wants to print checks, save old bills, and file them in clunky cabinets? Not Kruze Consulting and not our startup clients. Pay Bills from Anywhere. As the founder of Kruze Consulting, I have paid an NYC startup’s bills from Rome and a Palo Alto startup’s bills from the backseat of a Lyft. That kind of freedom alone is worth every penny of Bill.com’s subscription price. Sync with QuickBooks and Xero. Enter it once in Bill.com and it electronically relays over to your accounting software. Multi-Level Users. We set different system permissions so that bookkeepers can enter bills, but only approved users can pay bills. The CEO can log in at any time and view/make comments on bills. Bill.com reduces email and communication friction. It keeps vendors in the loop. Vendors automatically get an email when their bill is paid and are notified of the delivery/deposit date. This eliminates those pesky “Yes, the check is in the mail” emails that can eat up your day. 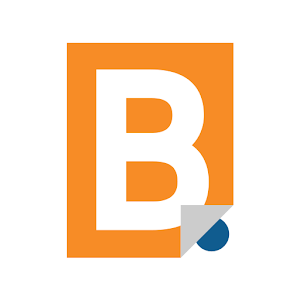 The only drawback with Bill.com is that the QuickBooks sync is critical and sometimes breaks. If sync breaks (which is rare, we’re talking a 5% chance), you’ll be spending some time with customer support. However, Bill.com recently beefed up its customer support, so service levels have vastly improved. The Dashboard Makes Management Easy: The Zenefits dashboard is a thing of beauty. You can manage everything from Employee Offer Letters to Onboarding to PTO & Sick Days to Benefits. Having one place to go for employee management needs saves a ton of time. Empowers Employees: Before Zenefits, employees had to email the HR Manager for small requests, even something simple like a vacation request. Now the employees can go into the system and make the request themselves. Management gets a notification and can approve the request. This subtle shift in access and responsibility offloads hours of work from Management. Simplifies Benefit Choices: Benefits are confusing to everyone, but Zenefits presents easy to understand choices to employees. Lower monthly cost plans with higher deductibles are clearly delineated from higher monthly cost but low deductible plans. Employees can make their benefit choices with confidence using Zenefits. 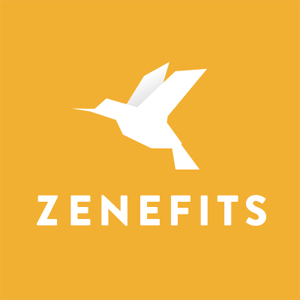 Fantastic Support: The team at Zenefits has invested heavily in support and it shows. Their onboarding team is top notch, and they have a service team ready to solve problems. Benefits are complex so our clients always have questions, but that’s ok because Zenefits is so responsive. The only drawback with Zenefits is that they are tackling a very complicated problem and sometimes the insurance carrier systems don’t talk to Zenefits’ systems as seamlessly as everyone would like. Both the carriers and Zenefits are investing a lot of time, energy, and capital into improving the whole experience though. At Kruze Consulting our experience has taught us an important principle: All startups seek ways to maximize efficiency and cut costs, so they can focus on business growth while they develop their next big idea. Automating internal processes with help from these tools will further simplify operations, giving you time to do what you do best: grow your business. Kruze Consulting will be presenting “Startup Financial Best Practices for the New Year” at the San Francisco AWS Pop-up Loft on January 21st. You can register here for this event.